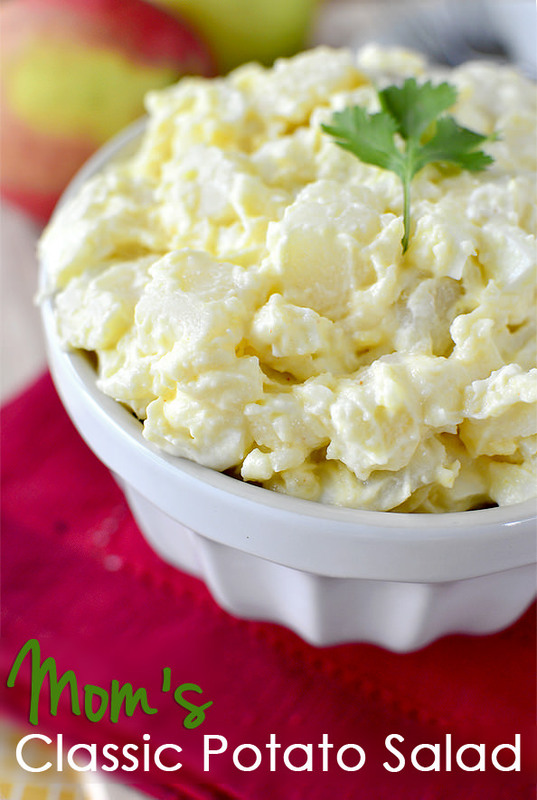 Mom’s Classic Potato Salad is an old family favorite. Creamy, and just right! Happy Monday, everyone – and happy July 1st! I hope you had a lovely weekend filled with fun in the sun. I laced up my walking shoes for the first time in over a week to zip around some trails, then Ben and I spent a few hours walking around the Des Moines Art Festival on Saturday. The weather was crazy! These dark storm clouds kept passing over the festival every 30 minutes or so, but never let loose – as long as we were there, anyway. I can’t imagine a worse scenario for a traveling artist. RAIN! 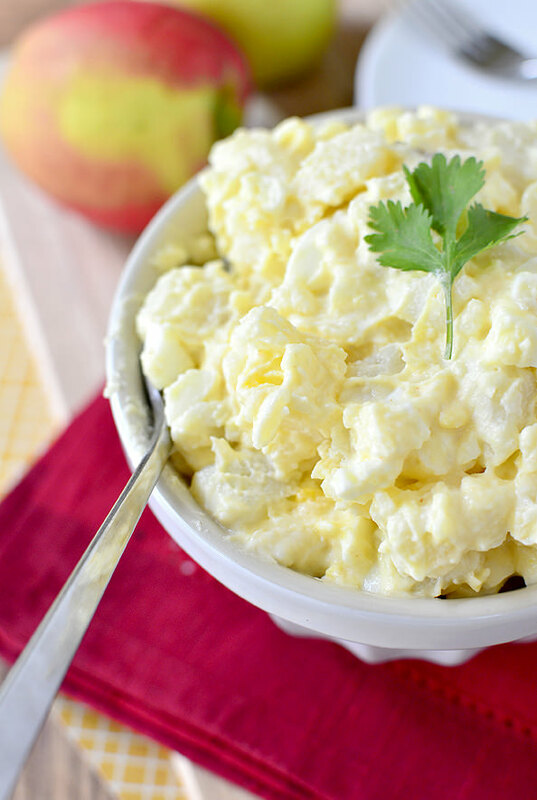 I also whipped up a batch of my Mom’s Classic Potato Salad for you. I promised I’d post this recipe before the 4th, and here she is! 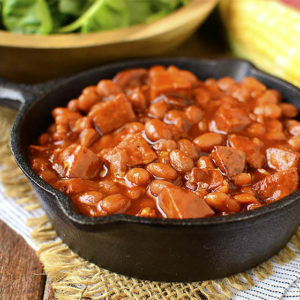 If you attend a BBQ at my parent’s house in the summer, you are 99% guaranteed to be served Judy’s Baked Beans, Grandpa’s Pasta Salad, and Yo’ Mama’s Dirt Cake, or any combo of the three, but always, always, always Mom’s Classic Potato Salad. It’s a summertime staple. My Mom (she cracks me up. Yes, Mom, I know who you are!) 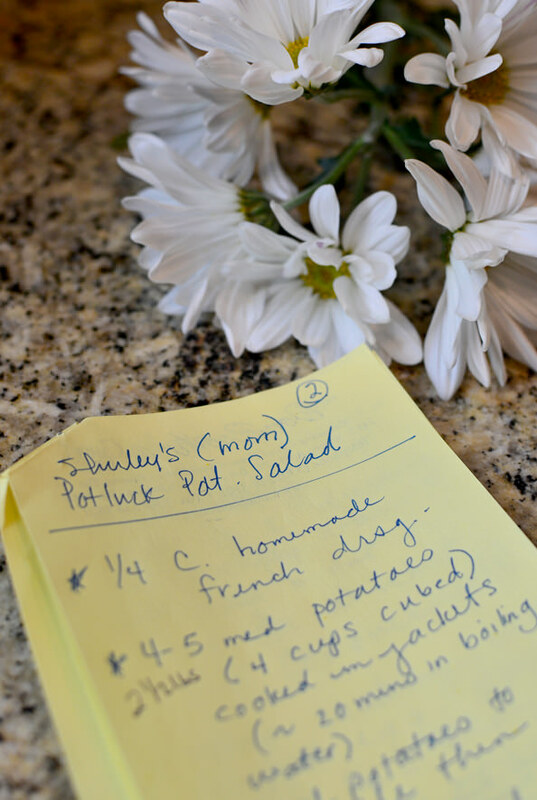 has made this recipe so many times that it’s ingrained in her memory, but last week I had her write it down ingredient by yummy ingredient, step by simple step. I’ve never actually made this classic potato salad myself – afterall, Mom always seems to make it best – and was so surprised by the recipe. Not nearly as much mayo as I thought, and a secret marinating step that gives the salad flavor from the inside out. You’ll see! 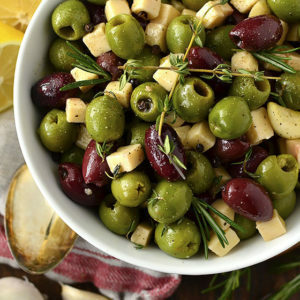 She’s fine-tuned the recipe over the years to fit our family’s tastes – eliminating add-ins like chopped onions and celery, which we don’t love – so feel free to jazz this recipe up with any mixins you like. 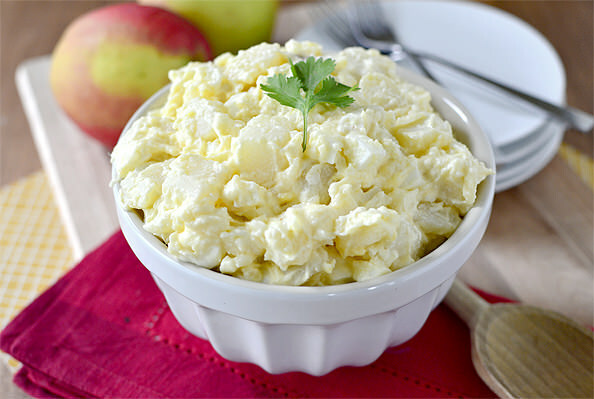 The base recipe, which I’m sharing here, is a classic, creamy, dare I say, clean, tasting Potato Salad. The only one I’ll eat. It is SO good!!! Start with zee potatoes. 2-1/2lbs potatoes, which is about 4 medium-sized potatoes. Make sure they’re all roughly the same size so they cook evenly. I used Russets. Scrub the potatoes then place in a HUGE pot of cold water and bring to a boil. 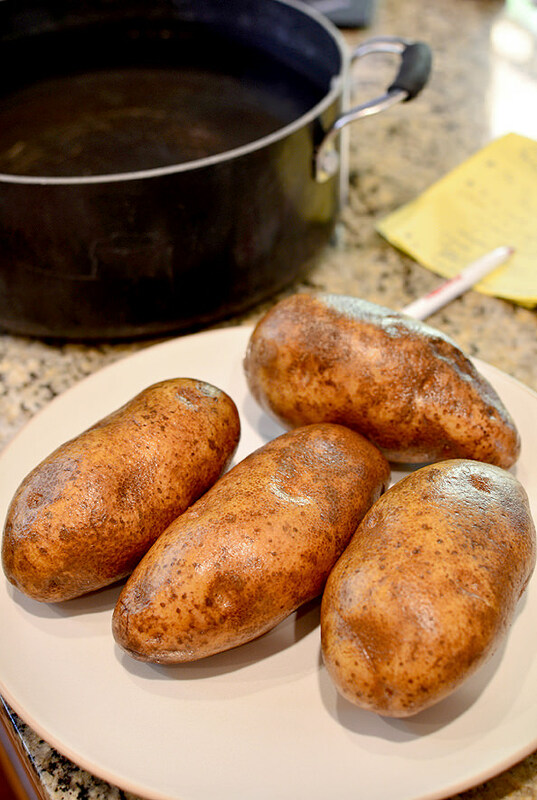 Boil for 20-30 minutes or until a knife can be inserted into the center of each potato. Remove the potatoes with tongs then let cool slightly. When they’re cool enough to handle, but still warm, use a paring knife to help peel (it should be very easy) then chop into big chunks and place into a large bowl. 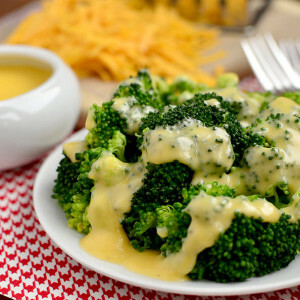 Meanwhile, mix up the dressing for the potato salad. Part of this dressing will be swirled over the warm potatoes, and part will be stirred in at the very end before serving. In a small bowl combine 1/4 cup canola oil, 1 Tablespoon cider vinegar (same as apple cider vinegar) and 1 Tablespoon lemon juice. Then add 1/2 teaspoon sugar, a scant 1/2 teaspoon dry mustard, 1/4 teaspoon salt, and a heavy dash of paprika. Give ‘er a little stir with a fork to combine. Pour 3/4 of the dressing over the warm potatoes then stir and stash in the fridge for at least an hour or up to overnight. 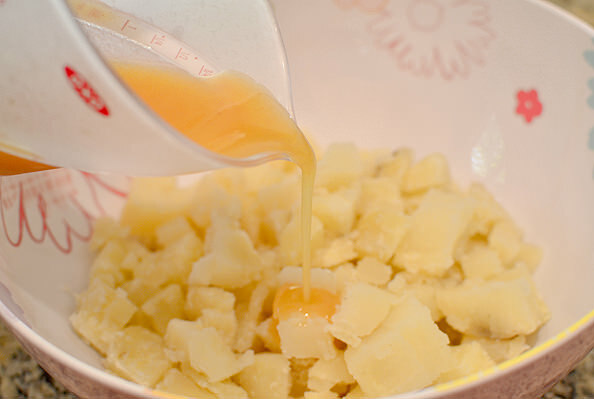 This is the “marinating” step that gives the potato so much flavor! After making the dressing, while the potatoes are still cooking, hard-boil 4 large eggs. Just pop them into a saucepan then cover the tops by 1″ with cold water. Bring to a boil, place a lid on top, then let them sit off the heat for exactly 12 minutes. Plunge the eggs into ice water, or run under cold water for a few minutes, then lightly smash each egg against a cutting board, roll so the shell cracks all the way around the center, and then peel. I find that still-warm eggs peel the easiest. Chop the eggs up then place ’em into the refrigerator. 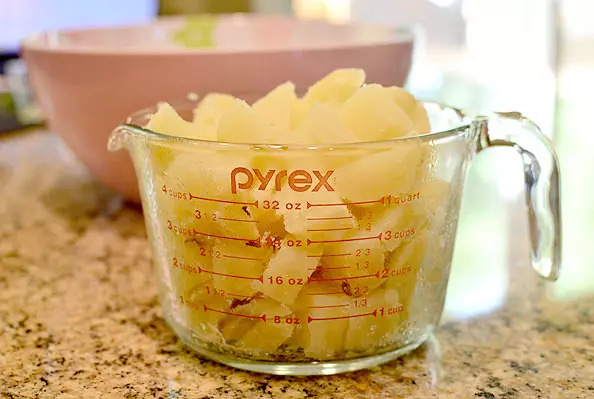 Before serving, add the remaining dressing, 1/2 cup light mayonnaise, the chopped hard boiled eggs, and a dash of salt to the marinated potatoes then stir to combine, adding up to 1/4 cup more light mayo to achieve a creamier consistency. That’s it! Classic, right?! 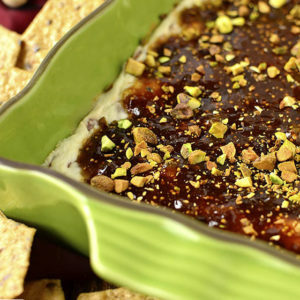 Refrigerate until ready to devour, then dig in! Mom's Classic Potato Salad is an old family favorite. Creamy, and just right! 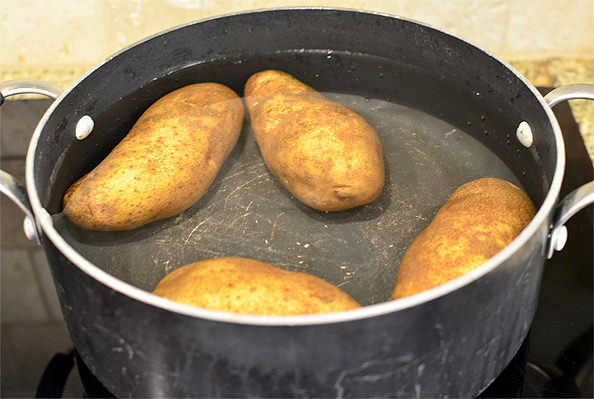 Place potatoes in a very large pot of cold water then bring to a boil. Boil for 20-30 minutes or until a knife can be easily inserted into the centers. 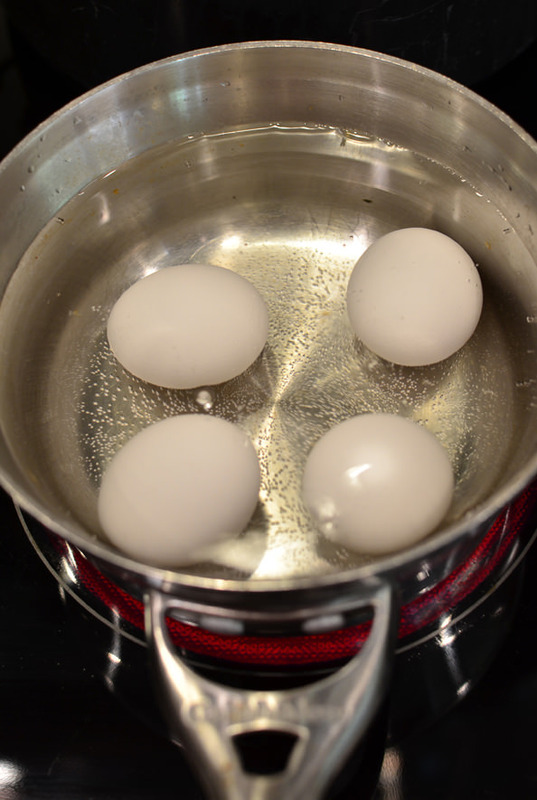 Meanwhile, place eggs in a saucepan then cover with cold water 1" above the tops. Bring to a boil, place a lid on top, and then remove from heat and let sit for 12 minutes. Drain then plunge into ice water or run under cold water for a few minutes. 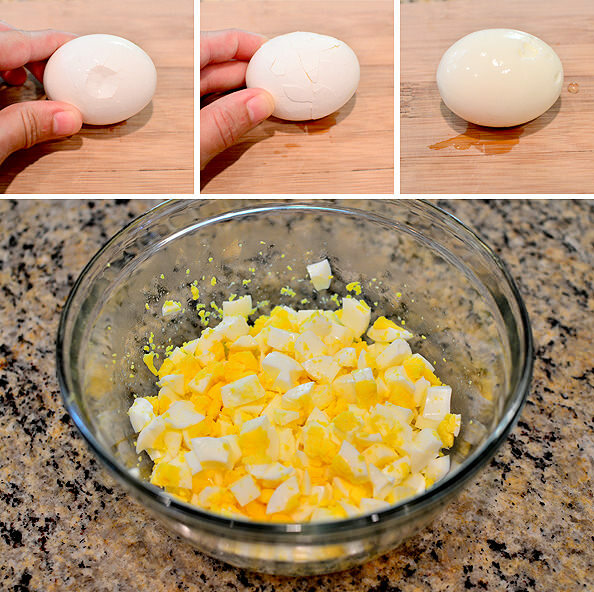 Peel eggs then chop and place into the refrigerator. 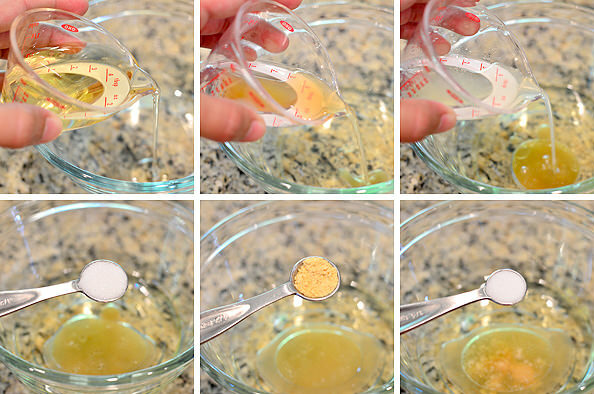 Mix dressing ingredients together in a small bowl then set aside. When potatoes are tender, remove to a colander with tongs. When cool enough to handle, but still warm, use a paring knife to help peel potatoes then chop into large pieces and place in a large bowl. 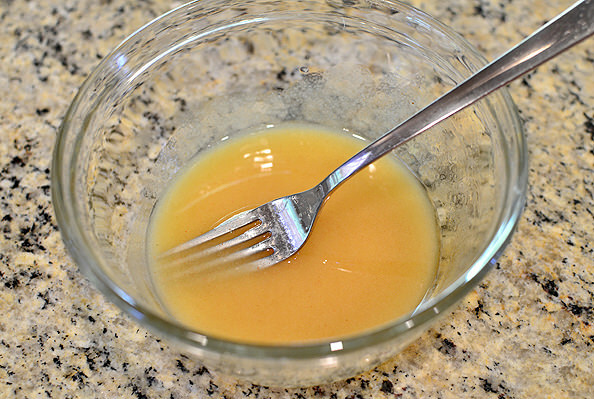 Drizzle 3/4 of the dressing over the warm potatoes then toss to combine. Cover then refrigerate for at least 1 hour, or up to overnight. 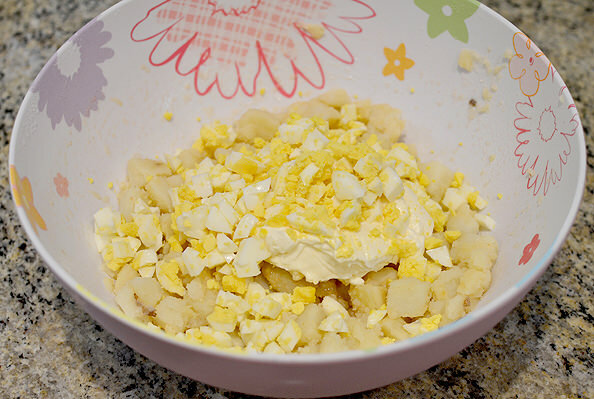 When ready to serve, add remaining dressing, 1/2 cup mayonnaise, chopped hard boiled eggs, and salt to potatoes then mix to combine, adding more mayonnaise to reach desired consistency. Creamy and SO dreamy, I hope you love this salad as much as my family and I do! Such an awesome spread of food! Whoa! Lots and lots of amazing food in this post. I love it all! Ooo! This just looks exciting :) Question though, my family despises the distinct flavor that is light mayo, does the ‘marinade’ cover that taste or should I opt for regular mayo? this salad caught my eye because of the lack of … stuff! 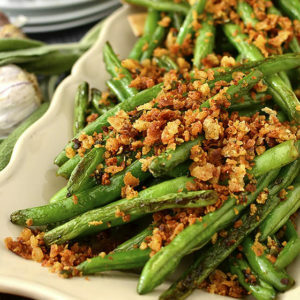 I love a green onion and other … stuff, but this just sounds so very good to me! it WILL be part of the menu this weekend. and probably keeping good company with at least a couple of these others… and happy birthday!! For some reason “entertainer” is misspelled several times in your post…just thought you’d like to know! Happy 4th! Awesome!! 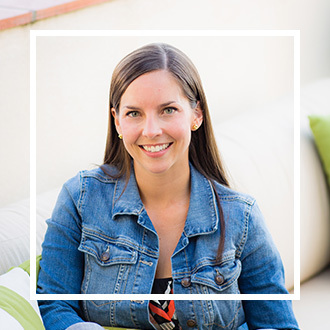 25 will be a great year – happy early birthday! 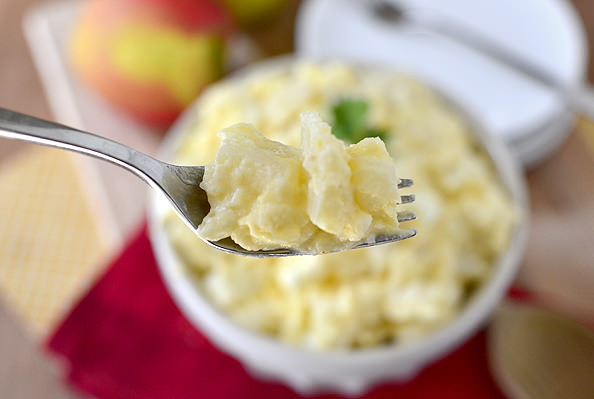 Potato salad is not omelette without boiled egg, so good. Happy early bday to you and Sandy! I’m Lovin all of the yummy food, those donuts…omg. LOL this seriously cracked me up for some reason. 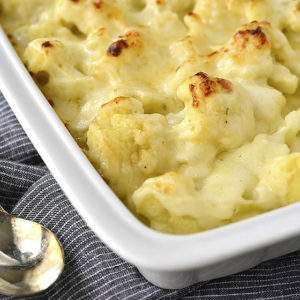 Such a great, classic recipe that every good cook needs! Looks so scrumptious! That blackeyed pea and corn salad looks AWESOME! I am slightly obsessed with blackeye peas since recently discovering how tasty they are about a month ago :). That potato salad is what Iowa dreams are made of! Love it! I’ve never thought to marinade your potato salad. The menu you’ve come up with looks divine. We had to cancel our fourth of July plans because my hubby has been deployed to fight a wildland fire but when he get’s back I’m sure he’ll be hungry. Happy birthday to you both! Wishing him a safe and quick return! Prayers for his safe return! Happy early birthday! So glad that you and Sandy are celebrating together. And this potato salad looks fabulous!! 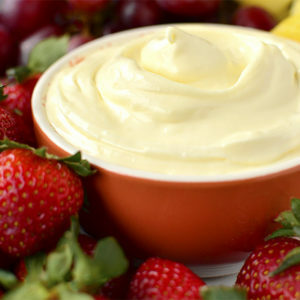 This might be a silly question…do you use regular light mayo or miracle whip light. They have such different tastes and I don’t want to take away from any of the other flavors. We were at the art festival Sat morning too. It started raining within seconds of swiping our credit card at a booth. No joke. If anyone saw a couple running down the street in the rain with a 4ft x 4ft painting, that was us! Happy joint birthday to you and Sandy!! So fun!!! 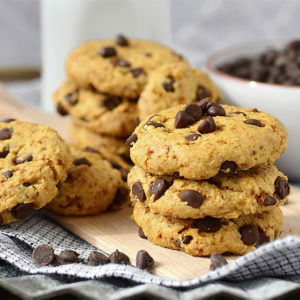 LOVE classic recipes like this! I loooove classic potato salad! And happy birthday to both of you! That potato salad looks divine. Happy birthday! My brother’s birthday is july 5 too, and he’s also turning 30 as well. Special day! Happy birthday to two of my favorite people! SO fun! Happy Early Birthday to you and Sandy. Sandy and you look like you could be Mother and Daughter! That potato salad sounds delicious. It’s my weakness, and I love it all different ways! That potato salad looks killer! Mmmm, that potato salad looks super tasty! For years I thought I just couldn’t handle potato salad, but I finally broadened my horizons and discovered that I love it. My favorite is from a burger joint here in Madison and it contains super crunchy radishes, which I normally don’t even like. What a fun birthday twin menu! Yummy! My mouth was watering by the end of this post..that potato salad looks delectable! Yum that looks so delicious! I would never have thought to add vinegar to the dressing. Love that the potato salad doesn’t have onions or celery- I think this will be my new favorite recipe! Why do you boil the potatoes whole and then peel and cut up, rather than peeling and cutting up before boiling? Thank you!!! Haha, I had the same question! The original directions said to boil the potatoes in their “jackets” aka skins. She said this keeps the potatoes from getting mushy. 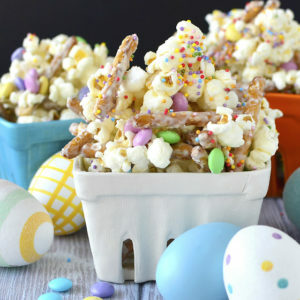 Yum- this looks so good! Do you think it would be just as flavorful if I substituted Greek yogurt for the mayo? This is one dish that I wouldn’t recommend swapping the mayo for Greek yogurt. It’s actually the only recipe I can think of off the top of my head that I eat mayo in, and it’s so good! Your Grandpa’s pasta salad is next on my list to try! 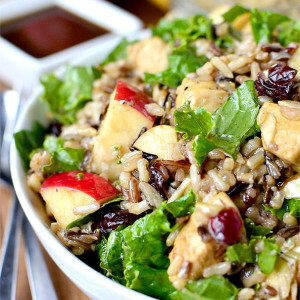 This salad looks so good, love that marinating step! Happiest birthday to both of you lovely ladies!! Thumbs up on the potato salad! I don’t usually like it, either, but this is great. I added a little more vinegar at the end for more zing, and even added hot sauce on my own serving. 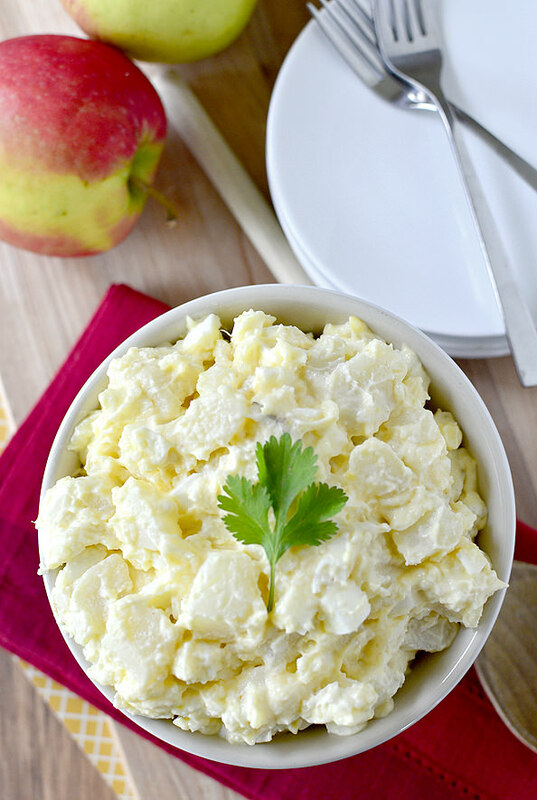 Love your Potato Salad recipe!, it looks so delicious! I have made this twice in the past few weeks, once for the 4th and today for a BBQ. People loved it and so do I! This is now my go-to potato salad. Thanks so much! 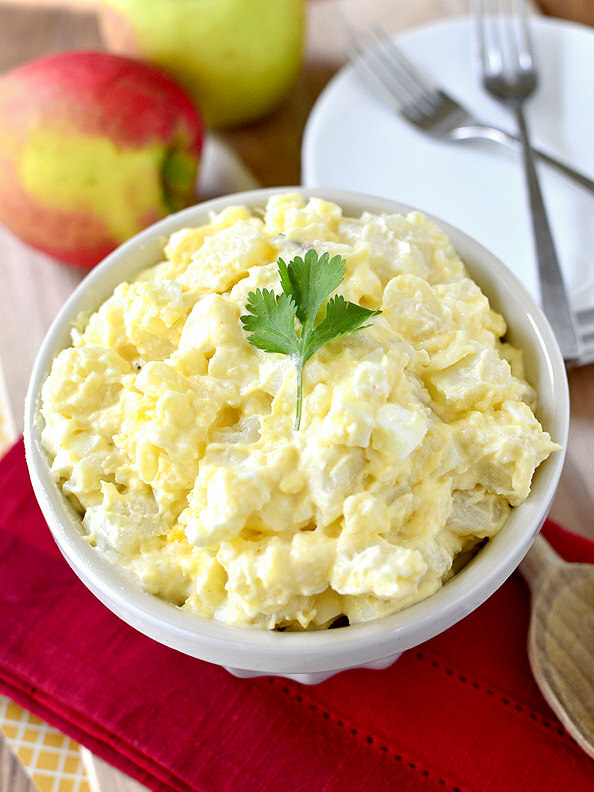 My new go-to potato salad recipe! I love that this is simple with basic ingredients since I live outside of the US and can’t always get my hands on certain ingredients. Also, as I am 38 weeks pregnant, my stomach is very picky these days so I have been making a bowl of this every week. Thanks! Easy to follow recipe and a very tasty salad! Was looking for a tried and true recipe for the potato salad, glad I stumbled over yours; it is definitely a keeper! 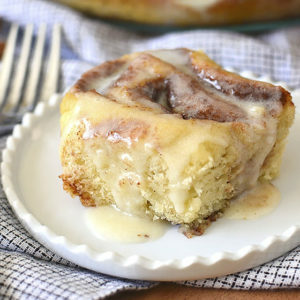 Making this now. Will let you know how it went. Try this with about 2 TBSP dried Dill. It’s divine! 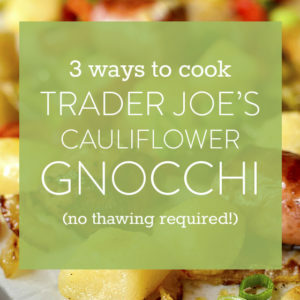 Thanks to you, (and your mom) for sharing this recipe. It’s coming with us to our favorite lake this Friday! I made this today (10-2-15) and it’s the best potato salad I’ve ever tasted! Thanks so much for the recipe…it’s a keeper! 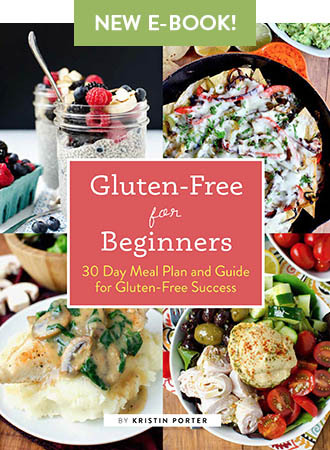 I came across this recipe today 7-3-16…. This potato salad if delicious! Thanks for sharing! !